It's no secret that how the Gift is packaged is almost more important than the Gift itself. 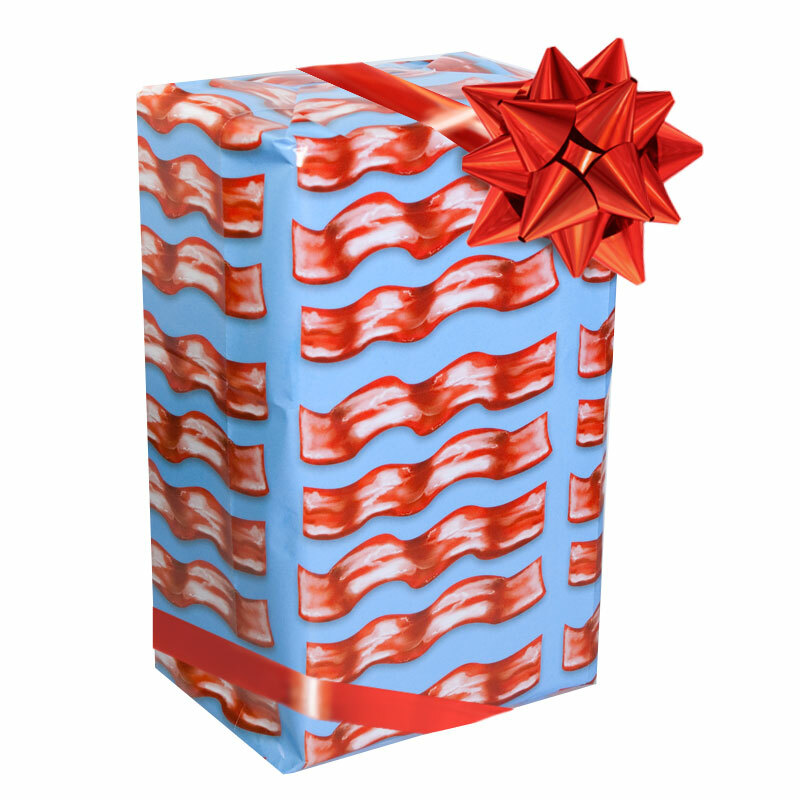 So how will you package your Gift, in something generic with clown faces or with juicy, Bacon Strips?! 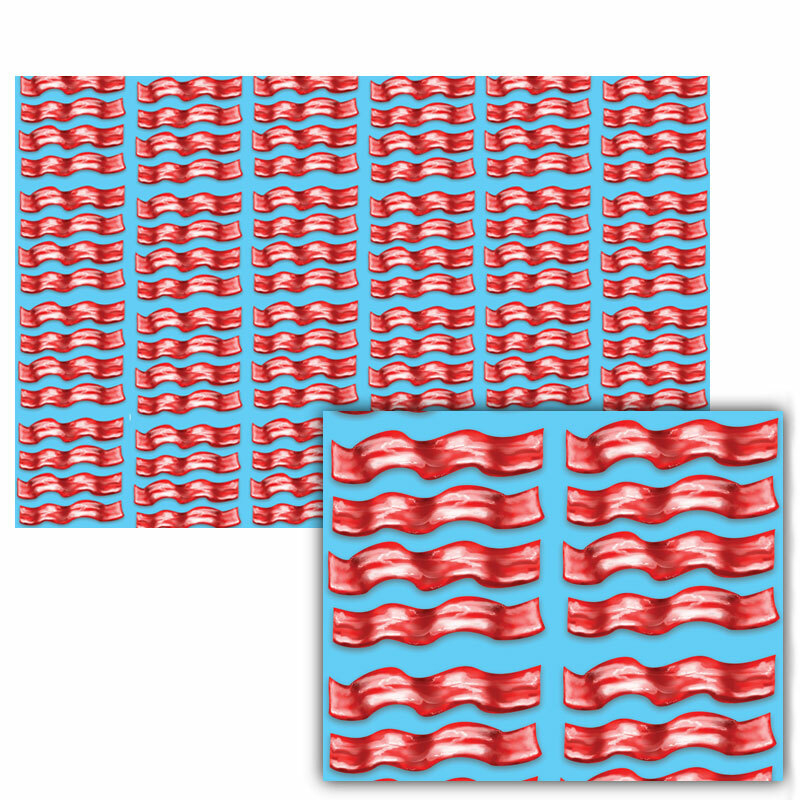 This yummy Bacon Gift Wrap looks good enough to eat and makes every Gift just that special. I mean, what do you do when your Sandwich is kind of lacking? Put some Bacon on it. So why wouldn't you do the same to everything else? 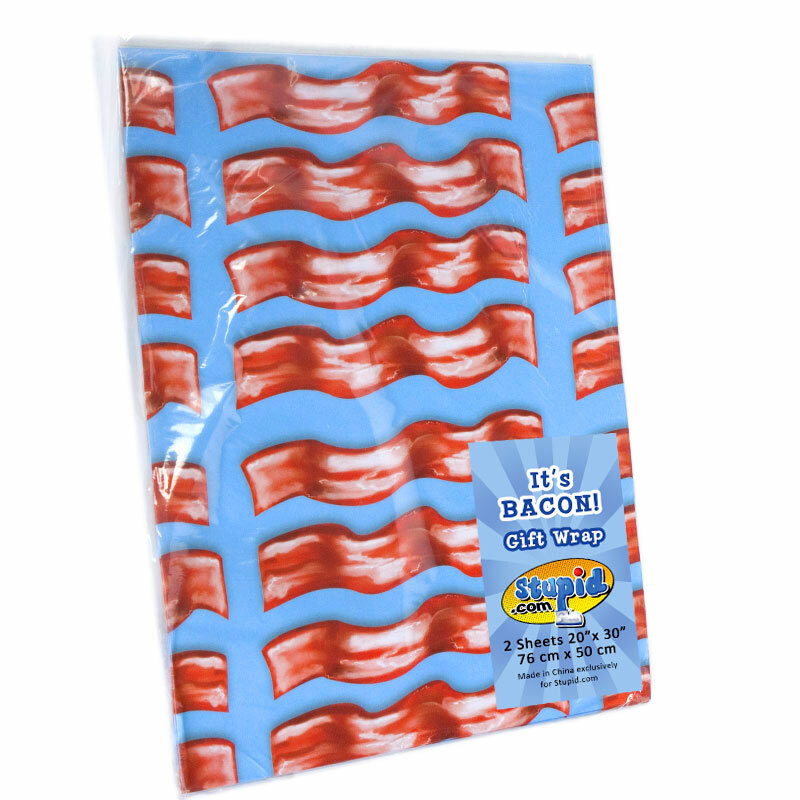 There are 2 sheets of 20" x 30" premium, Bacon-print Gift Wrap in each package. Feature: - 2 Sheets of 20" x 30" Gift Wrap per package.